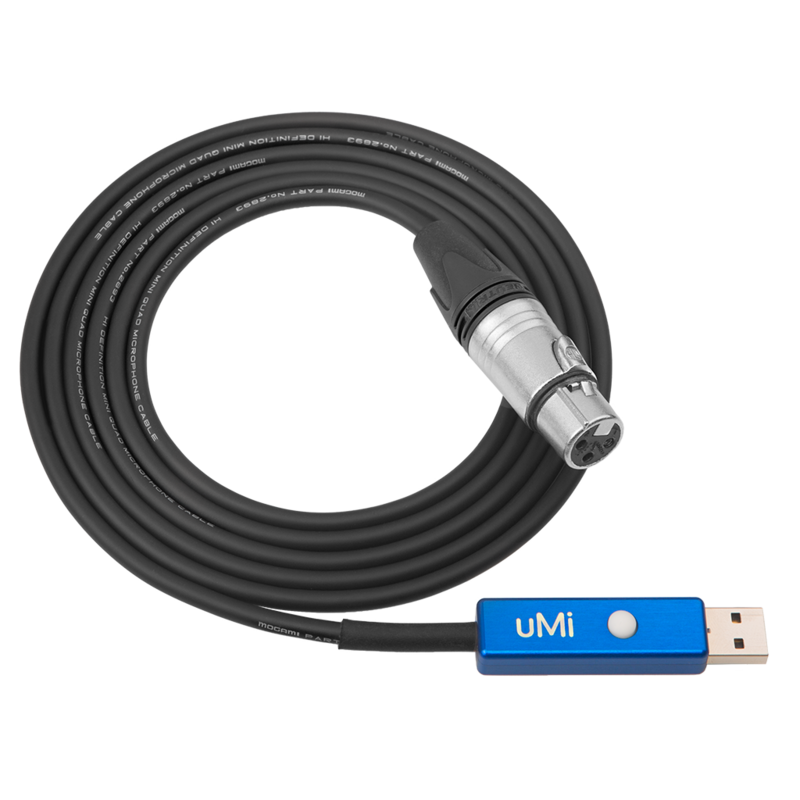 Technica Del Arte’s uMi USB Microphone interface is one of the world’s most flexible professional Recording and Broadcasting interfaces. Delivering outstanding audio quality, the uMi represents the centrepiece for recordings and live broadcasting. With the mobile reporter in mind, our development team has designed a very robust and flexible microphone amplifier. customizable. With the help of uMi, your favourite microphone will always sound the same, whatever the circumstances. Designed to play the central role in mobile situations and for all mobile devices – iOS, Android, Mac OS and Windows – uMi delivers uncompromising audio quality. By carefully selecting the audio components we have built a device that offers extremely high-resolution sound, with the lowest THD and high dynamic range. While the analogue sound is natural and transparent, the uMi can deliver a wide range of dynamic processing, gain control and equalization via its hardware accelerated DSP power. Years of research and development from our experienced team have resulted in outstanding audio quality and processing algorithms focused on mobile recording and broadcasting. By saving presets within the device, its sound colour and response can be adjusted with a simple push of a button. The presets can be adjusted and stored in the device with the help of the intuitive uMi Control Application, available for macOS and Windows. commentators in mind who, in many cases, need separate microphones. Working with the very best hardware materials and the most advanced manufacturing processes, we have been able to deliver a device with outstanding quality. Due to its durability, the uMi can be used in the harshest of environments. This makes the device the perfect tool for on the road recording and broadcasting.